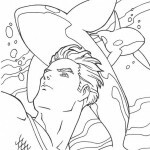 Welcome to our Aquaman coloring pages. 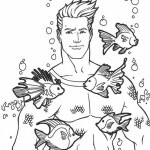 Aquaman is a comic book superhero who appears in DC Comics. 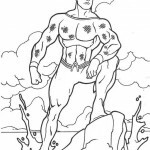 Created by Alex Weiner, and inspired by a book by the Russian Soviet science fiction-writer Alexander Belyayev (Amphibian Man, 1928), the character debuted in More Fun Comics #73 (Nov. 1941). 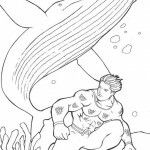 Initially a backup feature in DC’s anthology titles, Aquaman later starred in several volumes of a solo title. 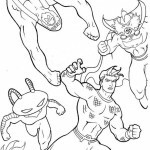 During the late 1950s and 1960s superhero-revival period known as the Silver Age of Comic Books, he was a founding member of the Justice League of America. 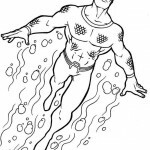 In the 1990s Modern Age of Comic Books, Aquaman’s character became more serious than in most previous interpretations, with storylines depicting the weight of his role as king of Atlantis. 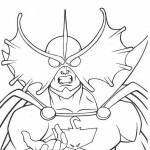 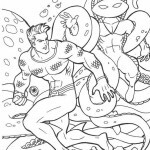 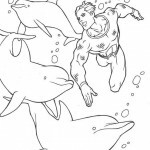 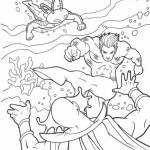 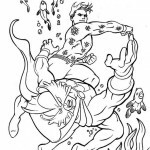 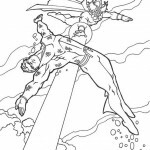 In our coloring pages, you can see that Aquaman indeed looks a bit like an underwater king! 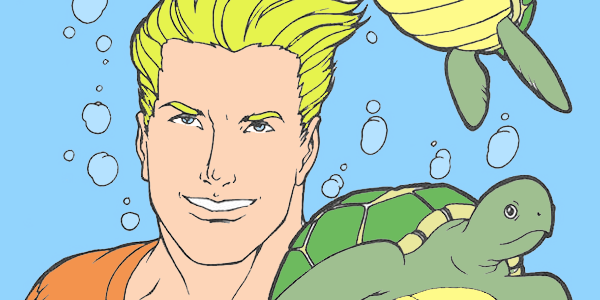 In his early Golden Age appearances, Aquaman could breathe underwater with gills, had superhuman strength enabling him to swim at high speeds, and could communicate with sea life and have them do his bidding. 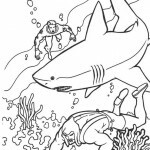 You can see Aquaman near some fish in our coloringpages, maybe he is communicating with them as well? 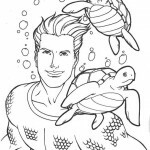 Initially, he was depicted as speaking to sea creatures “in their own language” rather than telepathically, and only when they were close enough to hear him. 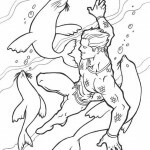 While he was often described as the “sovereign of the sea,” with the waters of the entire globe his “domain,” and almost every sea creature his “loyal subject,” the title was never an official one. 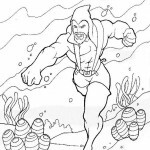 Aquaman’s adventures took place all across the world, and his base was “an ancient temple of lost Atlantis, kept underwater,” in which he kept a solitary throne. 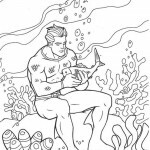 Now that you’ve read all about him, I think it’s time to start coloring our Aquaman coloring pages!